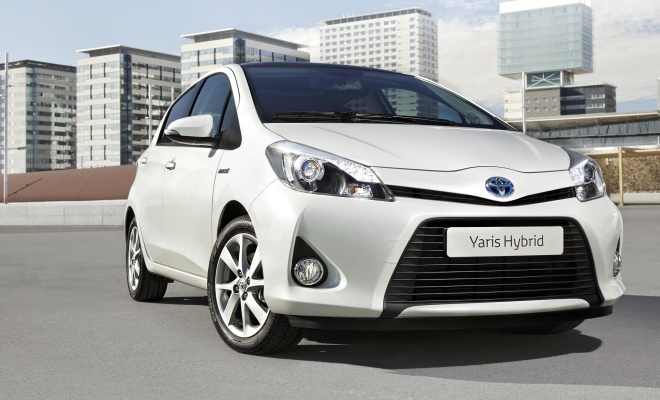 Toyota will bring its full hybrid system to the hugely popular supermini sector in the middle of 2012, with the launch of the Yaris Hybrid. The car will combine a new 1.5-litre engine with a motor and battery derived from the components shared by the Prius, Auris and Lexus CT200h hybrids. Those three are of course larger cars, each employing a 1.8-litre 98bhp engine and 79bhp electric motor for a combined peak output of 134bhp. The smaller Yaris will be able to summon only 98bhp from its engine and motor combined, but with a hybrid’s high torque that should be enough to make the new car feel fairly lively. The Yaris’s drivetrain will also be 20% lighter than the Auris’s setup, which will help to stop the new car feeling like a slug. The hybrid battery pack will be squeezed alongside the fuel tank under the Yaris’s rear bench, meaning no loss of practicality compared to a conventional Yaris and the same 286-litre boot. The gearbox will be an electronically controlled continuously variable transmission (CVT), again a downsized version of the box found driving the front wheels of the Prius. Unusually for a Toyota hybrid, the gear selector will be a conventional stick poking upwards from the floor, rather than the clickety blue mushroom found protruding from the dashboard of the Prius and Auris. 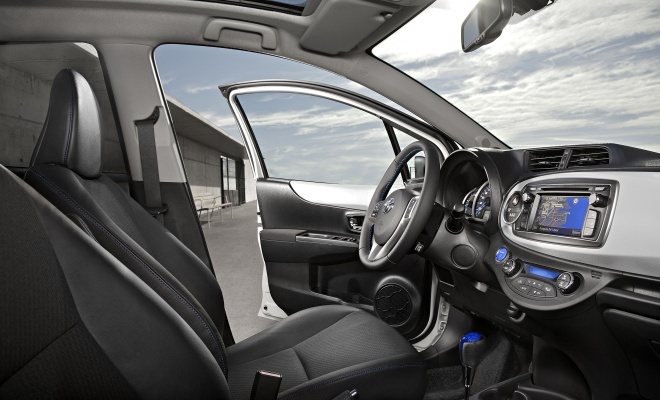 Presumably like the larger cars, the Yaris will offer a choice of standard, eco and power driving modes, and perhaps also a limited EV mode. 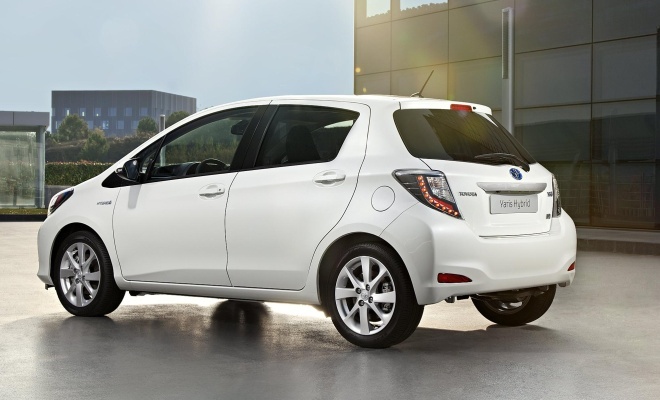 As a full hybrid, the Yaris will be able to combine the efforts of its engine and motor together, or employ either of them entirely separately, allowing the car’s computers to maximise efficiency as conditions dictate. By contrast, the mild hybrid setup used by rival Honda sees the motor and engine bolted together. This cuts cost, weight and complexity but limits efficiency. It’s often incorrectly stated that Honda’s hybrids cannot drive under motor power alone - they can, but they can’t do so without spinning the petrol engine, which wastes battery energy even if no fuel is used. Toyota hasn’t announced prices yet – presumably they will be revealed in March when the car is shown off at the Geneva motor show. But we can expect the petrol-electric Yaris to play in roughly the same ballpark as the Honda Jazz Hybrid, which runs from £15,995 through to £19,305, depending on specification.